If you have short time in Hanoi but you want to visit both the city and the countryside this is the best option. Driver and guide pick you up at hotel or your residence then we drive to countryside out of Hanoi through the historic Long Bien Bridge. Along the way we immerse ourselves into rice paddy, fruit garden, local villages to reach Co Loa ancient citadel dated back 250 BC. Meet a local family to learn more about life in Red river delta. Then we have lunch in a local restaurant before heading back to Hanoi. 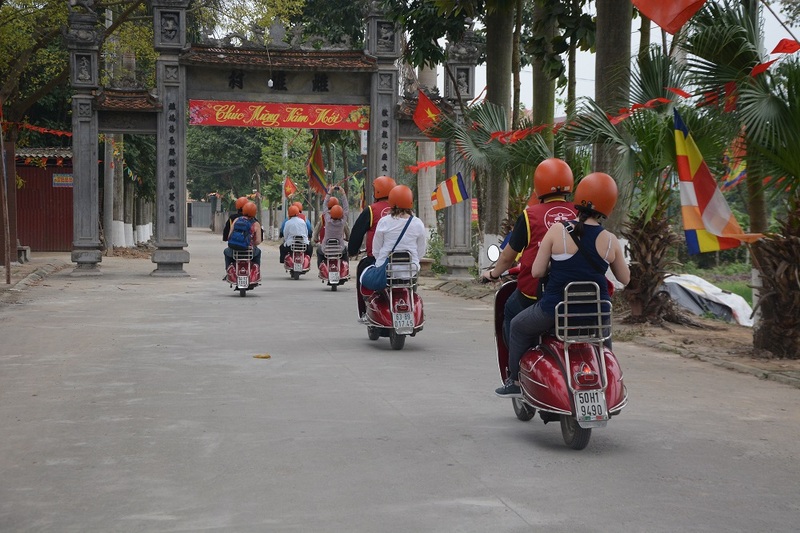 In the afternoon to continue to we ride to the must see landmarks of Hanoi and the hidden parts of this great city which is full of culture and history to see truly how local Vietnamese people live, work, play and pray. We continue by Zigzagging through the narrow alleys to the Huu Tiep Lake and legendary reunification train track. Recharge ourselves with Hanoian delicacy where locals love to hangout and we wrap up our adventure of a life time in a infamous Egg coffee cafe dated back since 1946. This entry was posted in Ha Noi, Our Tours and tagged hanoi.